Director: Desiree Akhavan. 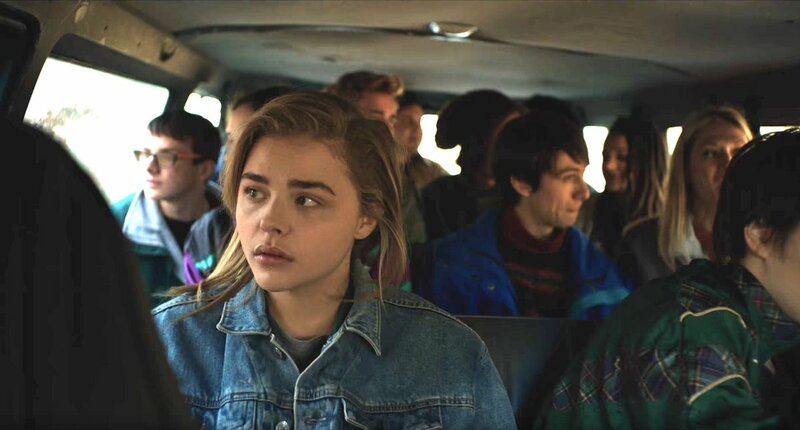 Cast: Chloë Grace Moretz, Sasha Lane, Forrest Goodluck, Emily Skeggs, Owen Campbell, Melanie Ehrlich, John Gallagher Jr., Jennifer Ehle, Marin Ireland, Quinn Shepherd, Kerry Butler, Steven Hauck, Christopher Dylan White, Isaac Jin Solstein. Screenplay: Desiree Akhavan and Cecilia Frugiuele (based on the novel by Emily M. Danforth). Twitter Capsule: Worthy story blurs in several key details and suffers from blunt point/shoot, shot/reverse style. VOR: ③ The topic matters, and the lowkey approach of the first two-thirds yields some interesting notes. But in arc and especially style, we've seen this.